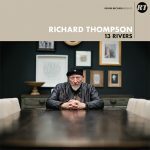 New York has long been a hotbed for songwriters, from the Folk City-centered explosion of the ‘40s, ‘50s, and ‘60s, to the anti-folk uprising of the late ‘80s and early ‘90s, to the vibrant current scene that supports the ten-year-old Brooklyn Folk Fest and a healthy open mic milieu that finds true believers like Stephen Karl and Joanie Leon Guerrero pouring their hearts and guts out every night of the week. Once upon a time, three-chord buskers and punk-fueled sensitive singer/songwriters ruled New York’s song-oriented clubs. 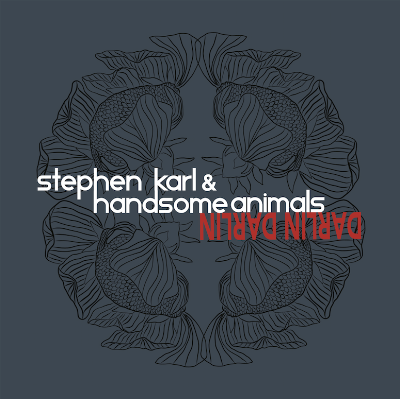 These days, a new melding of singer/songwriters and highly skilled post-conservatory musicians are harvesting elegant, noisy, impassioned, and timeless tunes, as exemplified by this split single by genre-pushing comrades-in-song Stephen Karl & Handsome Animals and Darlin Darlin. 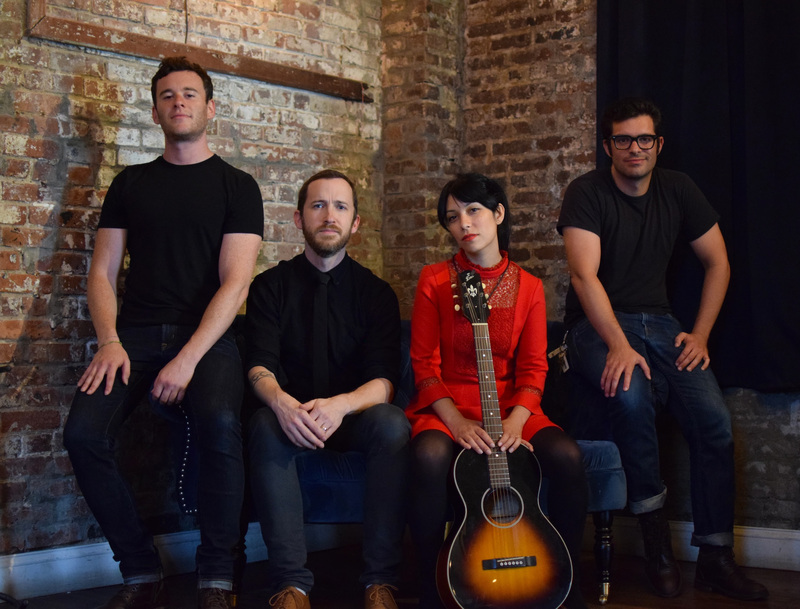 Towards making a scene, the two Brooklyn-based bands have played gigs together and collaborated musically and communally. The marriage is made official with a four-song split single EP released today. Karl’s tunes, “Shelter” and “Cyndi,” are pretty slices of life that evoke his Dylan-Minnesota roots and highlighted by trippy Bowie-worthy pop vocals, while Darlin Darlin’s haunting “Easy” and “Katy, TX” suggest fellow New Yorkers Ollabelle and the Golden Palominos. Both bands bring a raw freshness to a time-honored tradition. For both Darlin Darlin and Stephen Karl & Handsome Animals, “what comes out” is beautiful. And from the sounds of things, this four-song EP is just the beginning. 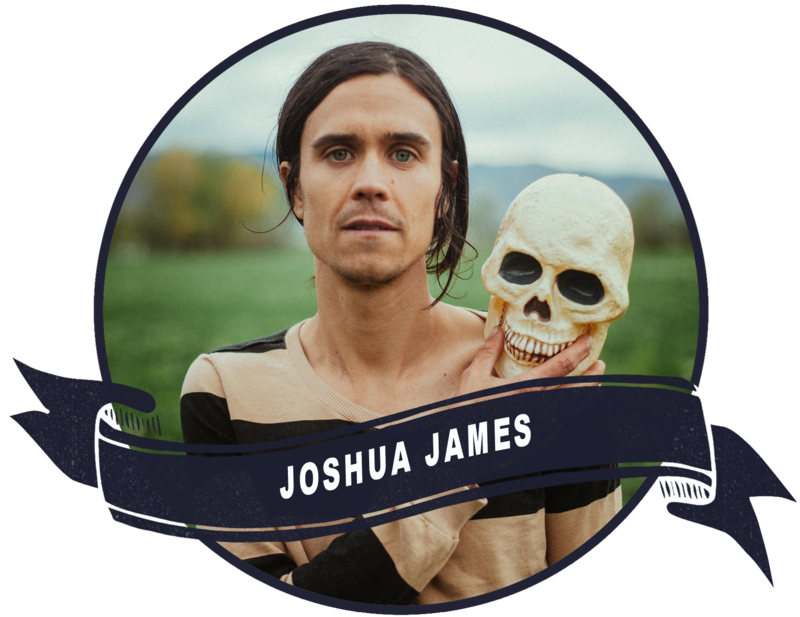 Joshua James’ new album looks into the darkness that we all flirt with, the things we think and dissect through our internal monologues but rarely share with others. Questioning core beliefs, faith in the micro and the macro, being uncertain. 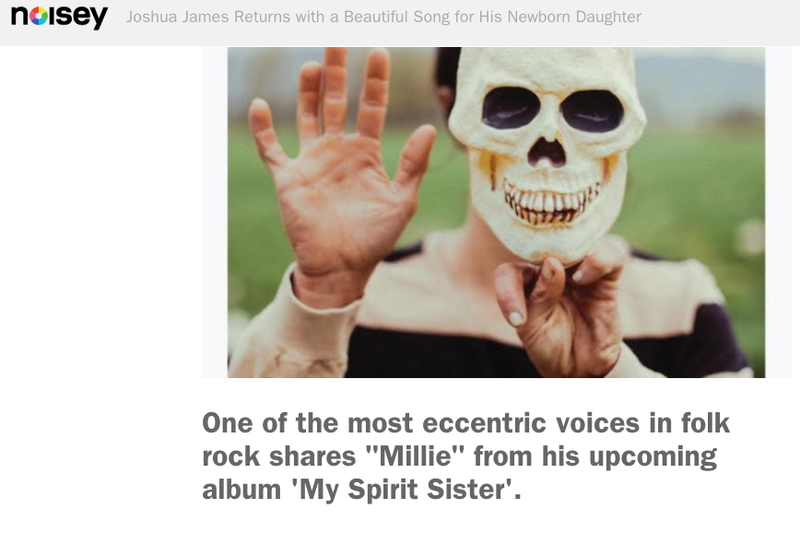 These are tenets of James’ songwriting, and his life, and on his upcoming dark Americana album My Spirit Sister he looks to continue facing the unknown with a rabid curiosity. The first single, ‘Millie’, written about grappling with himself while on the verge of having a child with his wife, premiered on Noisey last week, you can click through the image below to check out that track and his upcoming tour dates. You can also download and stream the full album after the blurb below that! “Humanity,” said Dostoevsky, “is a mystery. It must be unravelled.” On his latest album, My Spirit Sister, Utah-based Americana artist Joshua James attempts to do just that, laying bare a narrative catalogue of his unraveling of the complexities and imperfections inherent in us all. Joshua James was born and raised in Lincoln, Nebraska, where he found solace early on in old records. James moved to Utah for university, where he began writing songs while studying nursing. “Leaving your home, your family, and living somewhere without the support of that structure is going to cause you to change,” he says. “I suppose it caused me to expand my view of the world, people, culture, god, the pursuit of a “career,” money and its affect on a man.” These themes and the hard-edged, stark landscapes of these states seep into the compositions on My Spirit Sister, which are stunningly beautiful yet somehow perilous and harrowing in execution. James draws on inspiration from the untidy and unseemly parts of ourselves that we tend to hide even from the people closest to us. 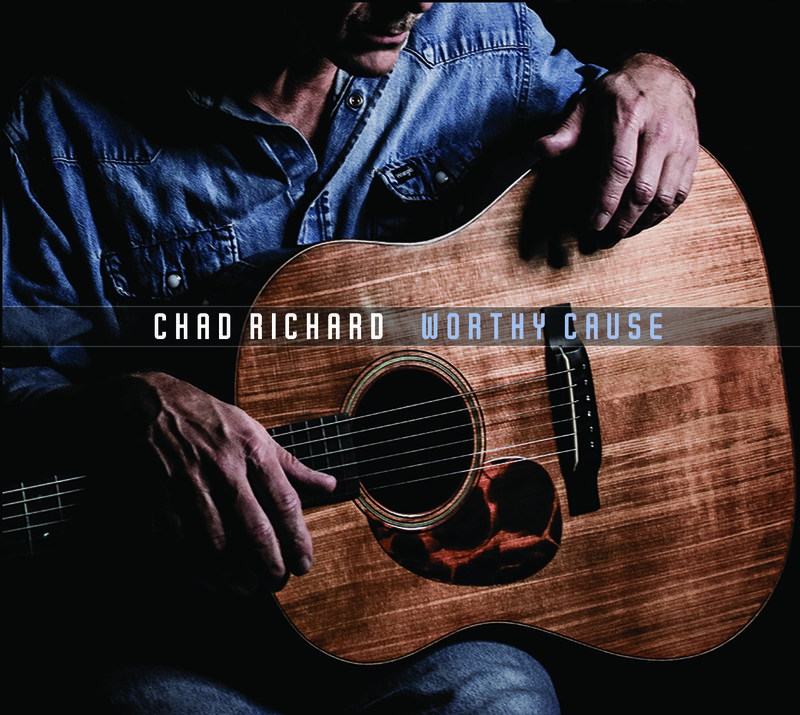 He may find more questions than he answers, but his ethos of working to be honest about his own weaknesses led to a chillingly engaging record.